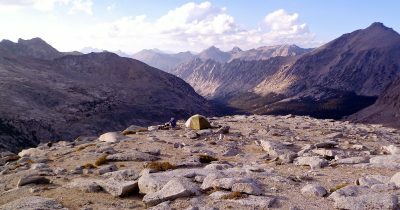 The Sierra Nevada is a wonderful range of mountains for both on and off trail backpacking and peak bagging. 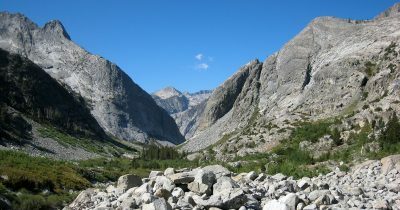 The section between Cottonwood Pass, south of Mount Whitney, to the Mono Recesses, south of Mammoth, offers the finest of scenery and wilderness experiences. Over the decades James has designed routes to take us to new areas we had not previously visited and to SPS peaks we had not previously climbed. Mid-August to the end of September is our favorite time as the weather is usually fine and the mosquitoes are usually gone. 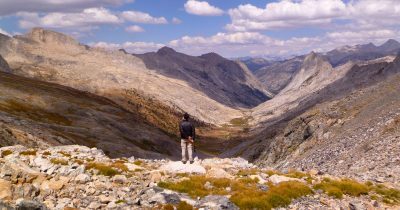 Although the John Muir Trail corridor is heavily used by backpackers, there are ample opportunities for solitude just about everywhere else. We have taken many dozens of trips to this range of mountains and will add more reports over time. What: On and off-trail hiking with 6 summits. Where: Kings Canyon National Park, from Baxter Pass. When: Sep 12-19, 2016 (8 days). 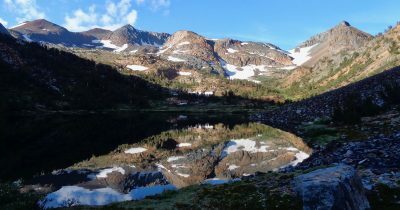 What: Long trail hike in the most beautiful region of the Sierra Nevada. 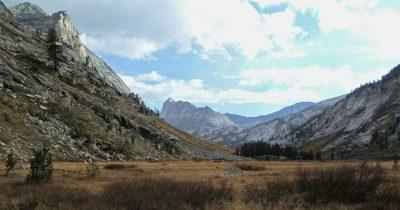 Where: Sequoia and Kings Canyon National Parks. 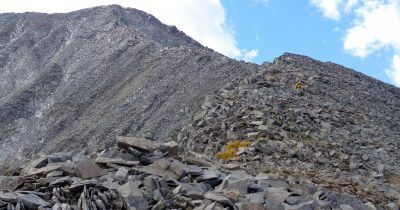 What: On and off-trail hiking with 3 summits. 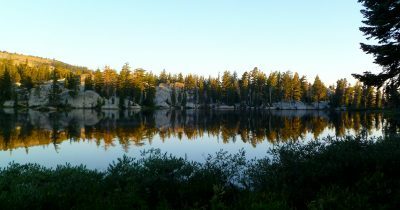 Where: Sequoia/Kings Canyon National Parks, from Lodgepole Campground. When: Sep 27 – Oct 2, 2012 (6 days). What: On and off-trail hiking with 4 summits. Where: Kings Canyon National Park from Road's End. When: Oct 4-10, 2003 (7 days). 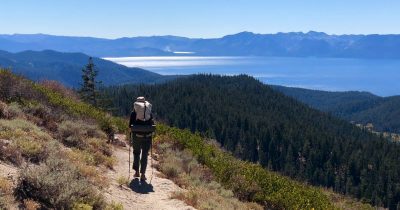 What: a section of the Pacific Crest Trail and 4 summits. Where: Ebbett's Pass to Castle Pass just north of I-80. When: Aug 1-7, 2013 (7 days). Where: Sequoia/Kings Canyon National Parks from Crescent Meadow. When: Aug 29 – Sep 3, 2013 (6 days).